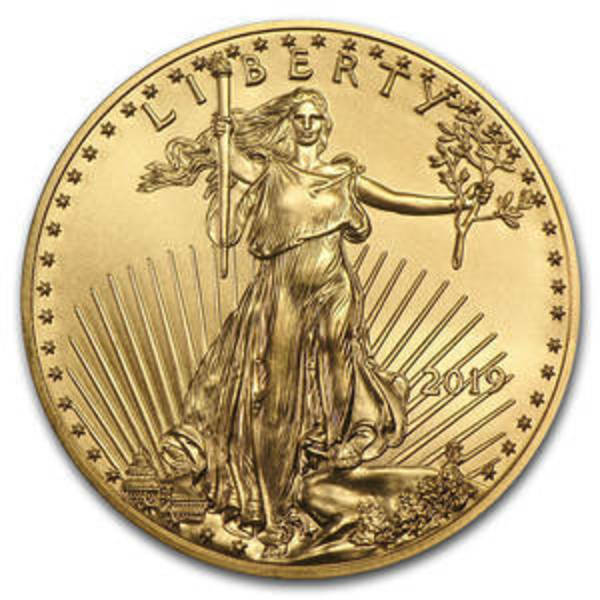 Compare the best online dealer prices before you buy 1/10 oz Gold American Eagle coins. 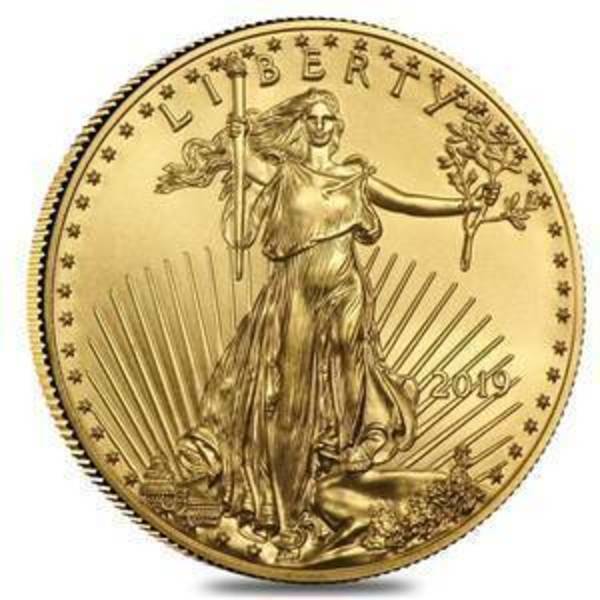 The 1/10 oz Gold American Eagle coin contains .1 troy ounces of gold bullion. The melt value of one 1/10 oz Gold American Eagle coin is $127.79 based on the current gold spot price. The average price for 1/10 oz Gold American Eagle for the past 7 days is $145.35. 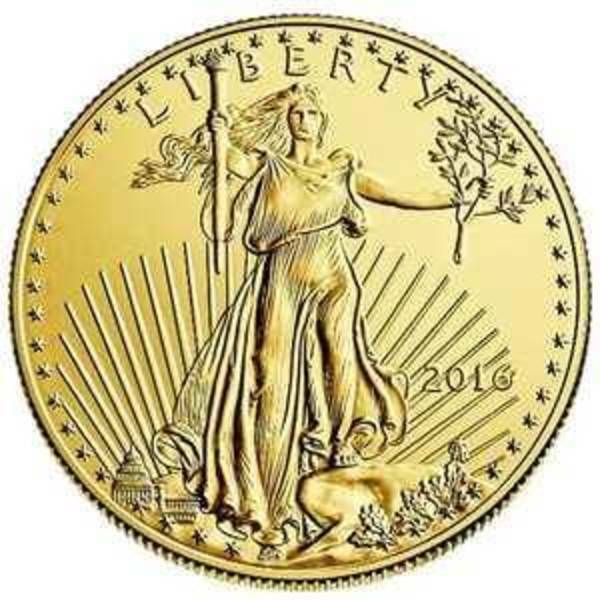 As the smallest of all the American Gold Eagle coins, the 1/10 oz Gold Eagles are the easiest and best way for many types of people to enjoy all the benefits of investing in gold. Like all US Mint Gold Eagle coins, these one-tenth ounce coins show a stunningly detailed portrait of an eagle flying to his nest on the reverse, and the famous Saint-Gaudens version of Lady Liberty on the obverse. Tenth ounce American Gold Eagles have a $5 face value, which is labeled on the reverse, along with the United States’ motto as well as the declaration that each coin contains 1/10 oz fine gold. The 1/10 ounce Gold Eagles are 16.5mm in diameter, and each 1/10 oz gold eagle’s weight is nearly .11 troy ounces total. 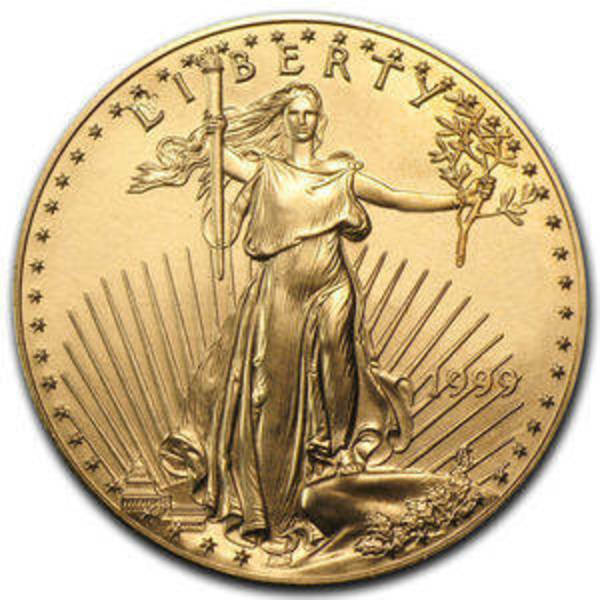 1/10 oz Gold Eagles provide the opportunity to buy gold coins for just a fraction of the cost of an ounce. 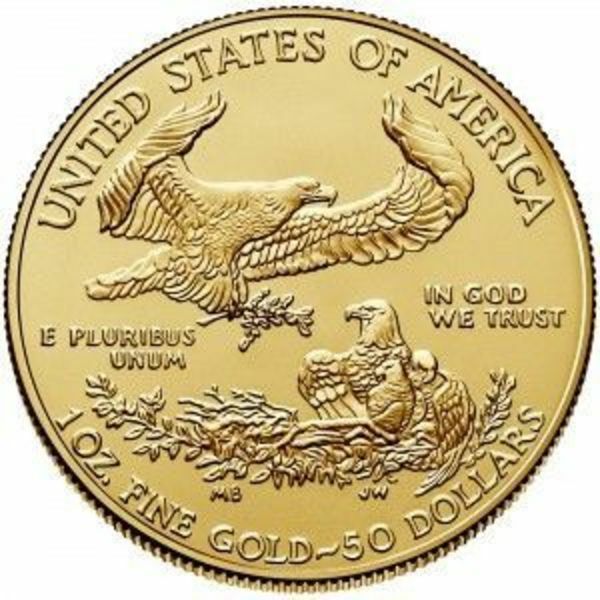 FindBullionPrices.com searches over 30 national, reputable and trusted bullion dealers to find the lowest prices on 1/10 oz Gold American Eagle and other American Gold Eagles products. The prices on our site for gold bullion and coins are updated hourly and adjusted for gold spot price. We give you the tools to compare gold prices from reputable and trusted bullion dealers. Compare 1/10 oz Gold American Eagle prices across bullion dealers to pay the lowest price. We will help you find the best prices for 1/10 oz Gold American Eagle when you're ready to buy.